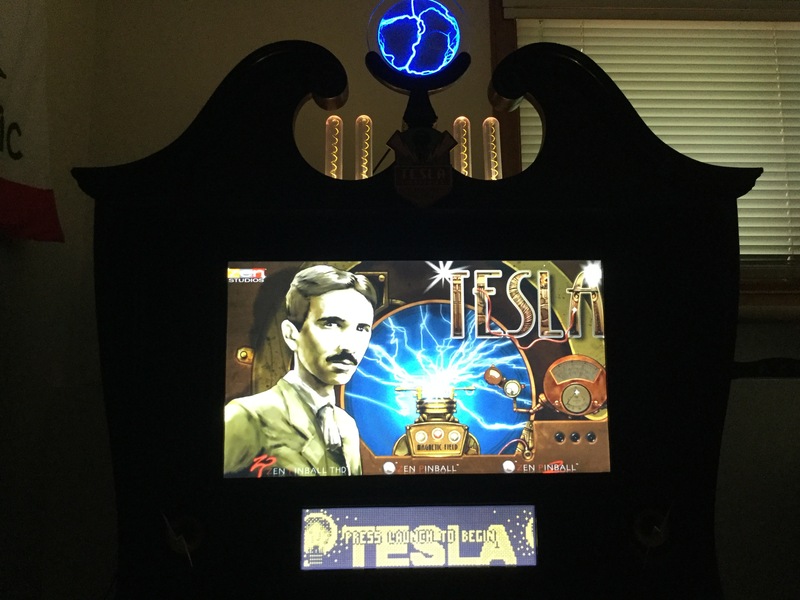 I am in the process of building a Nikola Tesla themed virtual pinball cabinet. 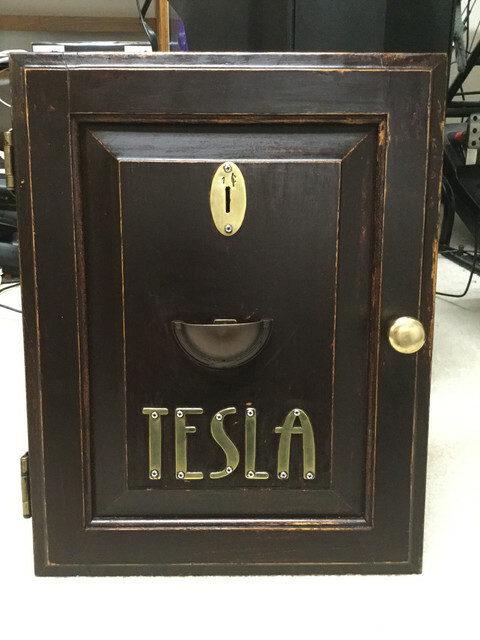 I recently finished building the backbox and coin door. 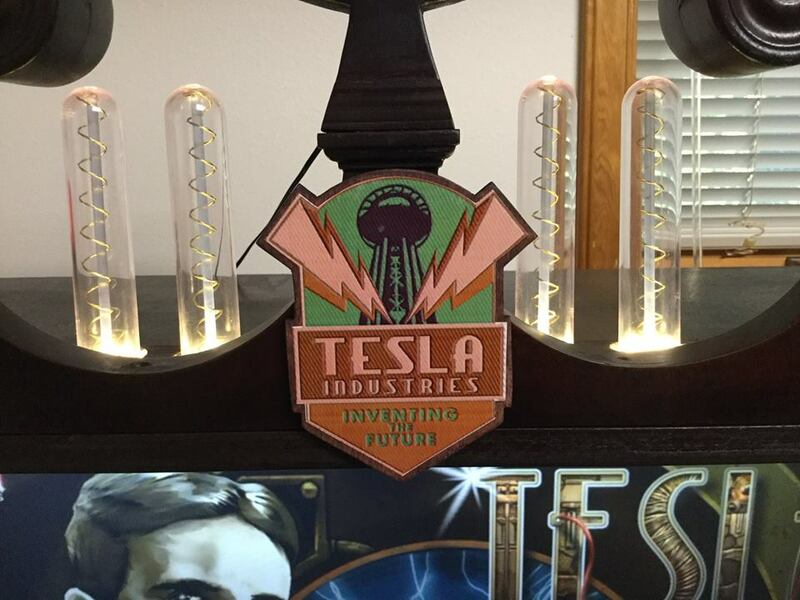 The backbox is topped with a Tesla coil driven device that generates lightning inside a 6" glass disc and 4 homebuilt faux Tesla era vacuum tubes lit with LEDs. I built a coin mechanism into the door so that it accepts pennies. 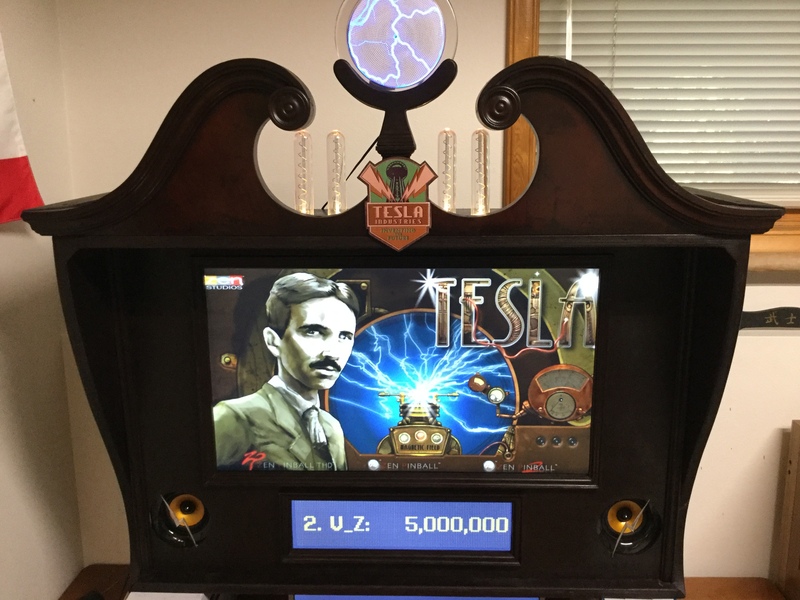 I will get started building the main cabinet once I have purchased the playfield monitor (43" 4k). Last edited by Gwen; 08-04-2018 at 10:08 PM. Hey! Wow, that's amazing! It's incredible to see how much effort you put into this artwork Well done! 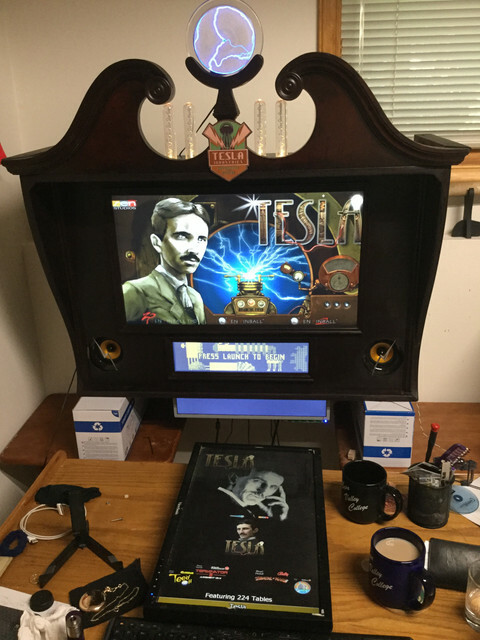 Thanks =) I still have a main cabinet to build but I am pretty happy with the way this is turning out. This is well on its way to being the coolest looking Pincab I've ever seen! Looks cool and unique! I like the way you have dedicated it to a certain table. Looking forward to what you come up with for the body. Last edited by 6Zayner; 12-24-2018 at 07:51 PM. Last edited by adamsenz; 03-25-2019 at 07:45 PM.